Something has been bothering me lately… and the “problem” is that I can’t remember all of the pies that I’ve made and given away! Part of it could be attributed to getting older… or maybe it’s because I don’t write about the pies right away… or maybe that’s just what happens when there are nearly 500 pies to keep track of! For example, my friend Debbie texted me today and asked if I was available for a walk. It’s been a while since we’ve texted and I noticed a photo above today’s text. 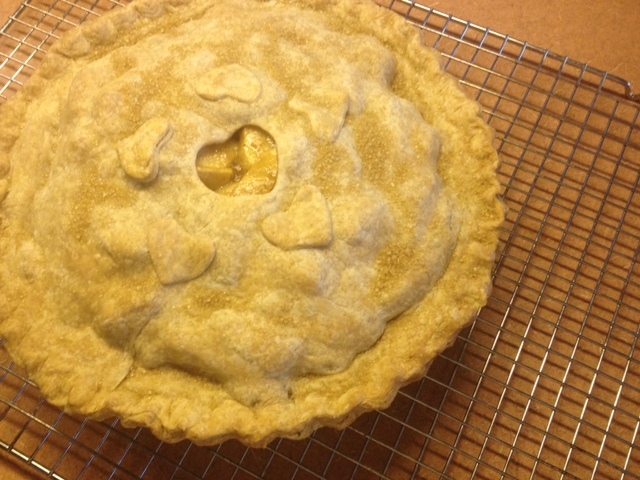 It was a photo she sent a few weeks ago of the gluten-free tart that I’d made for her Dad for his birthday. Crazy, it was only a month ago… but I’d forgotten all about it! Then last week I made a pie for a couple that live in my neighborhood. We used to walk our dogs together YEARS ago and since then we don’t really see each other very often. The strange thing is that when I found the empty pie plate on my porch yesterday with a note stating “Deeelicous” Thank you, R&L” I was stumped! 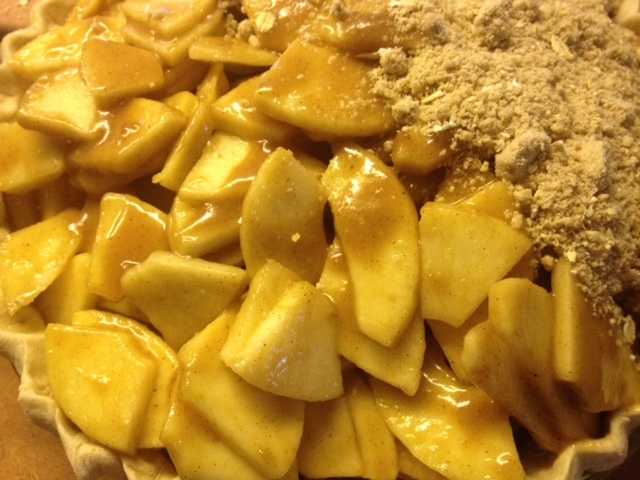 It took a little while before I finally remembered who I’d made that pie for… and that’s scary! After all, it was only last week! To be fair, I’ve had a lot going on. Once a week, I coordinate our church’s homeless shelter. This experience has given me a glimpse into the lives of folks that we might otherwise overlook because we are so caught up in our own “stuff.” This service is greatly needed and I’m honored to be a small part of it. Then, for the last month or so, I’ve been helping to cater events at the Ashland Elk’s lodge. Usually our lodge entertains about 30 events a year, yet this March alone we had seven! This has been a lot of fun… and I’ve gotten to know some great people in the process, but it has also kept me pretty busy. 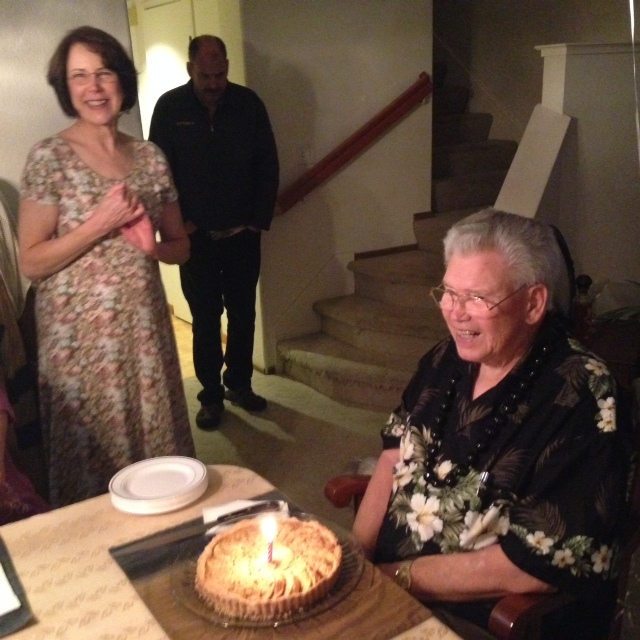 However, I wasn’t too busy that I couldn’t bring a pie to a dear friend. A few weeks ago Merry sent a group email to friends and family letting us know that she’d been recently diagnosed with Ovarian cancer. As soon as I could, I brought her a quiche and as we visited, she shared the story of her friend who had died late last year. This friend had cancer and when asked what she wanted, she told Merry that she wanted other women to know the symptoms to watch for so that they could be proactive and get help as soon as possible… because with early diagnosis, the chances for recovery are much improved. And leave it to Merry to get that message out there with a bang! Yesterday Merry’s story and photo appeared in the Medford Mail Tribune. I beg you all to read it and share it with the women in your life. Tell them to be aware of the symptoms for reproductive cancer… and to keep track of them on this symptom calendar and then bring that information to their doctor. Don’t wait! As Merry says, these cancers are quiet… but not silent, and the quicker you act, they better your chances. Our hope is that by sharing this message, women will recognize early that something is wrong and have the confidence to do something. Please pass this important message along…. and thank you so much for doing so! Merry and Mike, smiling as always! Probably, the reason you don’t have instant recall is because – once you give your gift, you move on to the next good deed. The people you give to, don’t have any trouble remembering you and your thoughtfulness. Dear Donna, What a sweet thing to say! I was busy wondering about my brain… and you point out my heart. Thank you.